NORD can improve conveyor and elevator applications with smoothly synchronized gearmotors driven by our modular drive electronics. 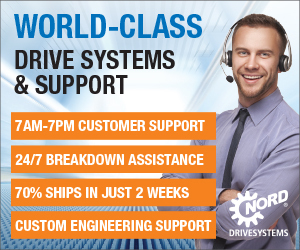 Do your drive solutions need an upgrade? Get in contact with the NORD pros that will be at ProMat 2019 ready to discuss drive solutions.